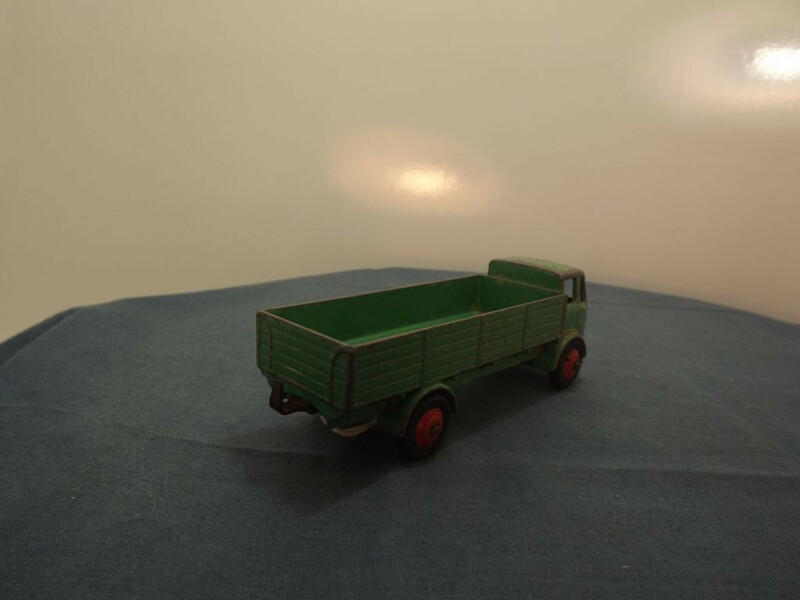 This model is the Dinky 25r-G-3b Forward Control Lorry in Light Green with red hubs. 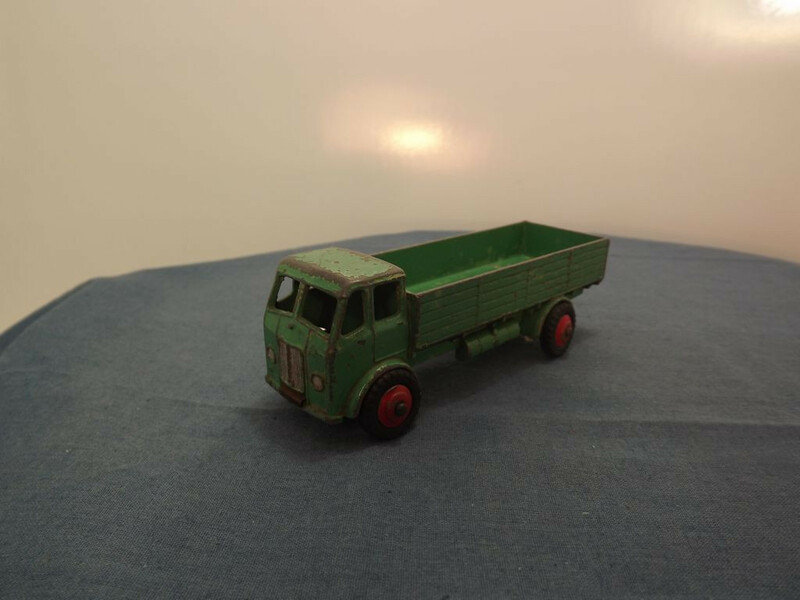 This model is an open truck with cast chassis-cab and rear body in light green. All features are cast into the body casting (grille, lights, bumper, cab doors, petrol tank, rear deck sides and real tailgate. The grille, headlights and bumper are silver. 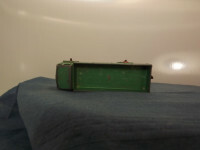 The model has a plain black sheet metal base under the cab only, held in place by a body locating lug at the front and a machined rivet at the rear. 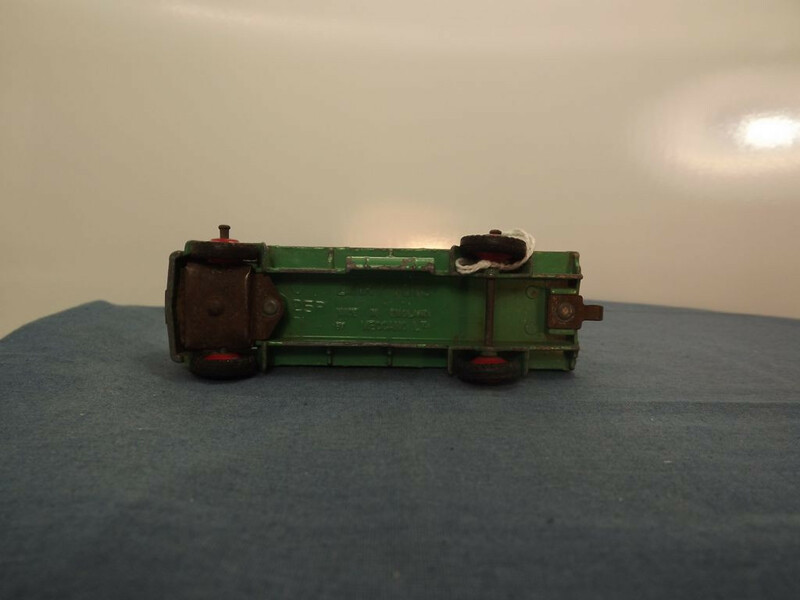 The underside of the rear deck has cast lettering with "Dinky Toys" in the top centre, "Made in England, by Meccano Ltd" on two lines to the centre bottom, and on the left, just behind the cab area, is the model number "25R". To the rear of the deck an tin plate towing hook is attached by a single machined rivet. All wheels are of the shaped cast metal type - solid one piece cast metal hubs, painted red, with a separate black rubber tyre. I have coded this item as a 3b as the references refer to light yellow hubs on this model. 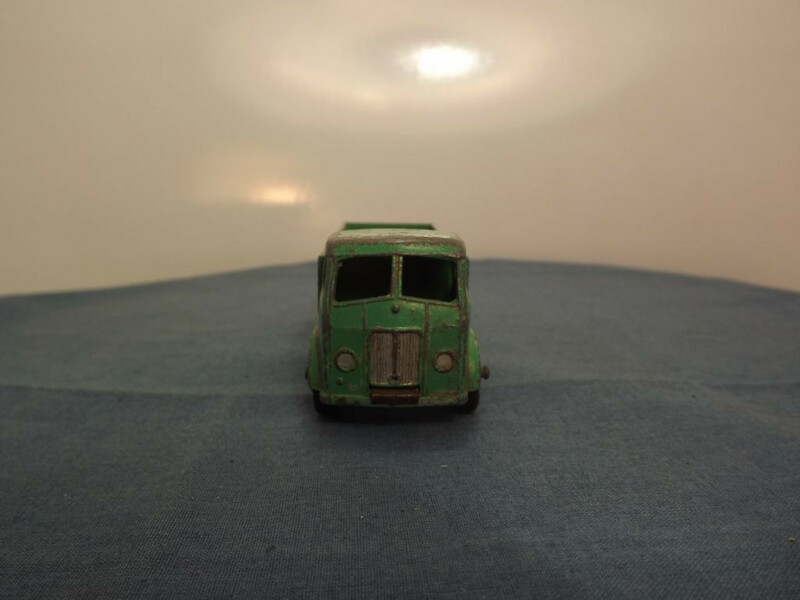 This model was issued between 1948 and 1953.